This property is located at 6127 Fathers Place , Kelowna, British Columbia V1X7V2 in V1X 7V2. There are currently 0 houses and flats for sale or rent in V1X 7V2. 251 agents provide real estate service in Kelowna. 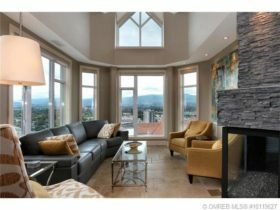 This property is located at 600 Boynton Place # 54 Kelowna British Columbia V1V3B8 in V1V 3B8. There are currently 0 houses and flats for sale or rent in V1V 3B8. 251 agents provide real estate service in Kelowna. This property is located at 1128 Sunset Drive # 2002 Kelowna British Columbia V1Y9W7 in V1Y 9W7. There are currently 0 houses and flats for sale or rent in V1Y 9W7. 251 agents provide real estate service in Kelowna. This property is located at 1922 Henkel Road Kelowna British Columbia V1V2E3 in V1V 2E3. There are currently 0 houses and flats for sale or rent in V1V 2E3. 251 agents provide real estate service in Kelowna. 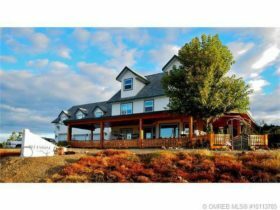 This property is located at 381 CURTIS Road, Kelowna, V1V 2G6 in V1V 2G6. There are currently 0 houses and flats for sale or rent in V1V 2G6. 251 agents provide real estate service in Kelowna. This property is located at #2002 1128 Sunset Drive, Kelowna, V1Y 9W7 in V1Y 9W7. There are currently 0 houses and flats for sale or rent in V1Y 9W7. 251 agents provide real estate service in Kelowna. This property is located at Joe Riche Road in V1P 1K5. There are currently 0 houses and flats for sale or rent in V1P 1K5. 251 agents provide real estate service in Kelowna. This property is located at 3705 McCulloch Road , Kelowna, British Columbia V1W4E9 in V1W 4E9. There are currently 0 houses and flats for sale or rent in V1W 4E9. 251 agents provide real estate service in Kelowna. This property is located at 4012 Gallaghers Parkland Drive , Kelowna, British Columbia V1W3Z8 in V1W 3Z8. There are currently 0 houses and flats for sale or rent in V1W 3Z8. 251 agents provide real estate service in Kelowna. CanadaPropertyListing.com is a real estate search engine that helps you find homes for sale and make smarter real estate decisions in the process. How? By analyzing real estate information on thousands of Kelowna property records, millions of homes in British Columbia and nationwide as well as helping you understand hyper-local Kelowna real estate trends. Refine your real estate search in Kelowna, BC by price, number of bedrooms, bathrooms, property type (including townhomes, condominiums and single-family homes), and more. Use our interactive Kelowna home price map to view real estate activity across Kelowna ZIP codes and in other cities nearby Kelowna. See local real estate trends, and compare your home to recently sold homes in Kelowna and to similar homes for sale in Kelowna, British Columbia. View our Kelowna real estate guide to see average listing prices, sale prices and information for local school districts. Join Kelowna, British Columbia community to get in touch with Kelowna real estate agents, real estate brokers and other real estate sellers and buyers. Compare Kelowna mortgages from multiple lenders and mortgage brokers to finance your home purchase. Not ready to buy yet? Find and compare Kelowna Apartments for rent.